It's Friday Field Day ... whoop whoop! Not really, haha. That means it is my HIIT only day and I hit the football field for 22 minutes TOTAL. That includes a long warm up, long cool down and rest periods. In all my HIGH intensity is only THREE minutes. So I can NOT complain. But those three minutes will feel longer today because our air quality is still a bit bad because of the massive fire burning in California. I probably should go INSIDE and do my cardio...but I get so bored! I also have already been mixing it up and NOT sprinting for every HIIT session I do. So I need to get one field day in this week .... so that is what I shall do this morning! One reason I try to save HIIT only for Friday is because I do it early and then I am done for the entire day!! It will be Netflix & chill with the hubs!! Speaking of Netflix .. if you haven't discovered Wentworth do yourself a favor and get on it. BEST SHOW EVER! It is similar to Orange Is The New Black (as in it's set in a women's prison) but it blows it out of the water SO much that we never finished last season or OITNB and haven't watched this season yet! Back to the California wildfire .. that is the focus of today's PREP WITH PURPOSE. I'm not really getting any requests for anyone to lift up/for. I do have one I'm working on for tomorrow .. but after that .. I'm dry :-( So I'm getting creative and thinking out side the box a little. Yesterday I lifted up and for the communities and victims of the flood in Louisiana .. today it's neighboring California. Turning on the news and seeing that there are wildfires in California (or stepping outside and having bad air quality here in Vegas) has happened numerous times since I've lived here. But it seems this fire is a really bad one...sparking what they call "firenadoes" and as of Wednesday evening has already burned almost 26,000 acres! 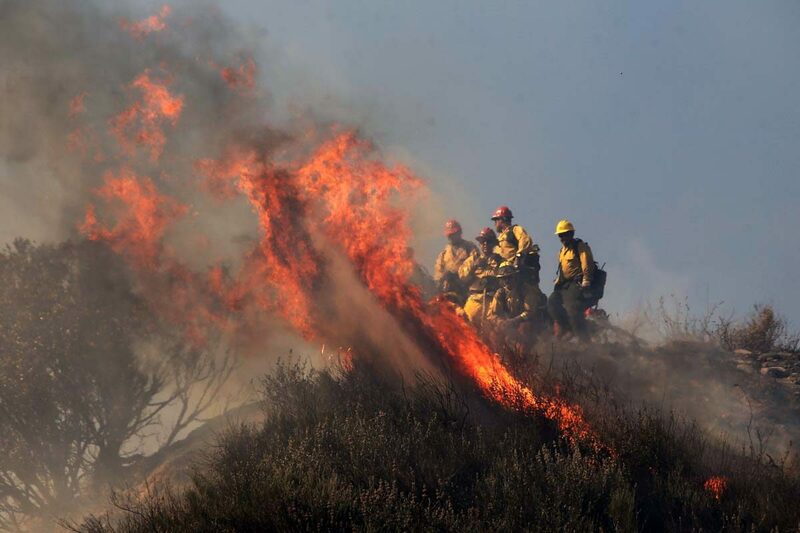 Veteran firefighters are even saying they have never seen fire behavior so extreme. 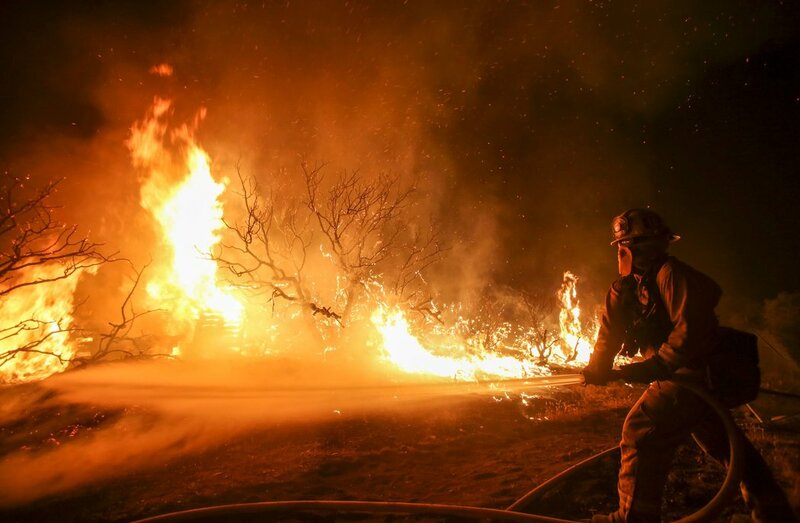 1600 firefighters are out there battling the blaze, nearly 83,000 people are under evacuation warnings and 34,500 homes were threatened. They are SLOWLY containing the fire .. but much damage has already been done. So far it's been reported two firefighters have been injured and the inferno has also claimed a high-profile diner. It's called The Summit Inn. It's on the world-famous Route 66 and many famous visitors over the years -- such as Elvis and Clint Eastwood. As I made my bed this morning (See my full post on Instagram about this. Pretty interesting research about making your bed and it's link to productivity and happiness) .. I stopped to be extra grateful. I thought about the people of Louisiana that don't have a bed to make because their homes are under water and those in California that have had to evacuate and are wondering if they will have a bed to go back and lay in tonight. We always think to ourselves that this stuff won't happen to us ... but it can. Take a moment today to be grateful for your home and everything and everyone in it. Then as you lift (or whatever it is you are prepping for today .. work, school, etc.) take a moment to lift up and for all of those exhausted from fighting this fire and everyone in it's path.